Opening Day is a week from tomorrow, and Daniel Murphy finally told us what we already knew that he would not be on the roster as he nurses his knee back to health. 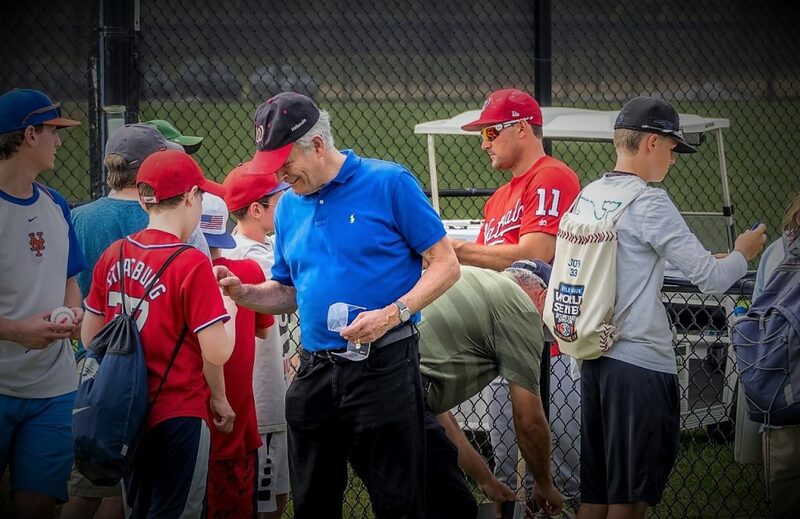 Ryan Zimmerman will be on the roster, and here is your Ryan Zimmerman sighting in the photo above — only don’t expect Zim in today’s line-up. There are only three projected Opening Day starters in today’s line-up: Adam Eaton, Trea Turner, and Bryce Harper. There is a bevy of bench bats in the line-up however. Matt Adams, Miguel Montero and Brian Goodwin seem to be locks for the Nationals bench as Matt Reynolds or Adrian Sanchez could snag that last spot taking Murphy’s spot. The other lock for the bench should be Wilmer Difo who can play multiple infield positions as well as the outfield. There is also the possibility that Mike Rizzo and manager Dave Martinez could go with an eighth bullpen arm to take Murphy’s vacated roster spot and only go with four bench players. Additional news today, veteran reliever Joaquin Benoit will not be part of the Opening Day bullpen as he will start the season on the DL (disabled list) with a forearm strain. Benoit along with Enny Romero and Shawn Kelley have been shaky this spring, and Brandon Kintzler who has been working on a new slider has lacked his normal consistency. For Nats fans, this game is televised on MASN as well as ESPN2 for those outside of the MASN footprint. Today’s starting pitchers are Gio Gonzalez for the Nationals and right-handed Lance McCullers for the Astros.